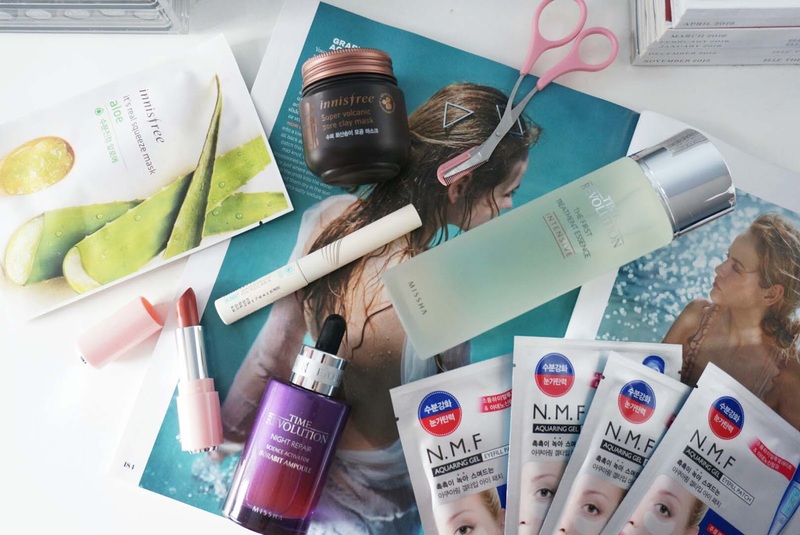 It's finally here: my korean beauty haul. Looking at my purchases right now, it doesn't feel like I bought much from my South Korea trip. I had more items to pick up on my list but we ran out of time but there will always be a next time. I definitely bought more clothing back than beauty items. I've put myself on a ban since I have soo much beauty items to work through now including my Hong Kong haul (coming soon). This is a 'show' more than 'tell' post, so if there is anything in particular that you want to see a review of first let me know. 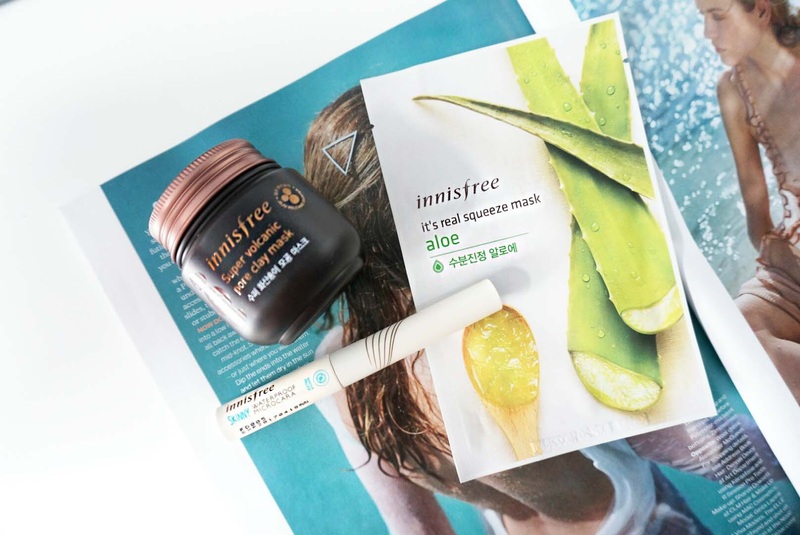 Innisfree is a popular Korean skincare and beauty brand, it's available in Hong Kong and does international delivery if anyone wants to check out the products. The Innisfree Super Volcanic Pore Clay Mask is my 'go-to' mask when I suffer from breakouts. It helps to draw out impurities and exfoliate your skin leaving your skin baby soft. I was running low on this, so I've purchased back ups too. I picked up the Innisfree Skinny Mascara - I've heard its really good for your bottom eyelashes as the bristles on the brushes are incredibly small. And lastly the Aloe Face Mask was a free gift. Most shops gives you free samples to try out their other products. An incredibly feminine and pretty Korean brand, Etude House is available on nearly every street in Myeongdong South Korea. I only picked up a few items having the mindset to go back and purchase more - but that didn't happen. 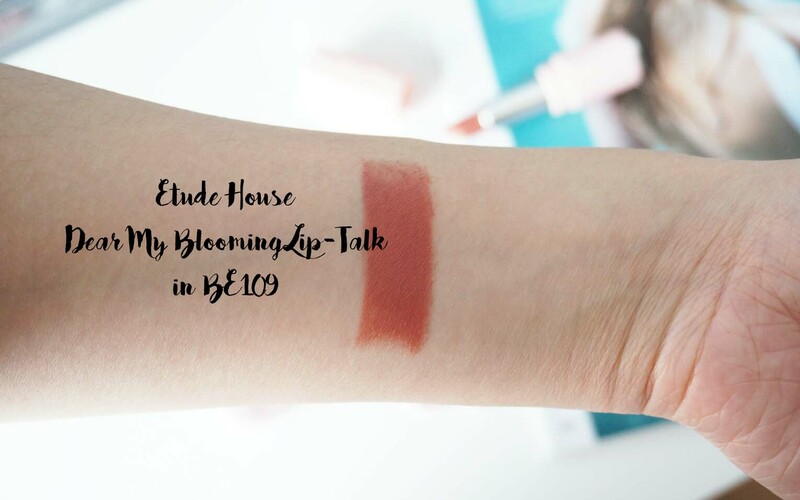 I picked up the Dear My Blooming Lip-Talk Chiffon in BE109 which is a pink beige shade with a satin finish. 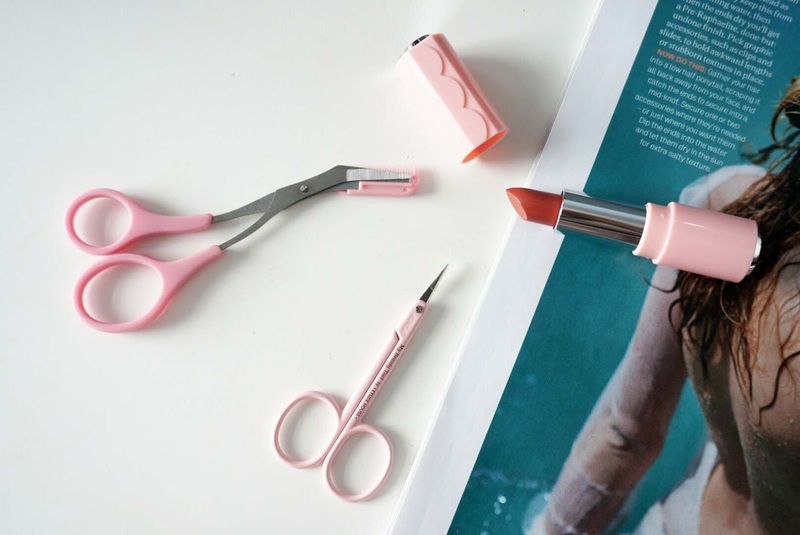 I also picked up some brow grooming products - Mini Scissors and Eyebrow Scissors. These come in very handy and trims my brows nicely since they are nice and sharp. Korean brands are much more affordable because of the currency conversion. Another South-Korean brand Missha, is one I was excited to shop at. I watch The Beauty Breakdown on Youtube and these are some of the items Morgan recommend. 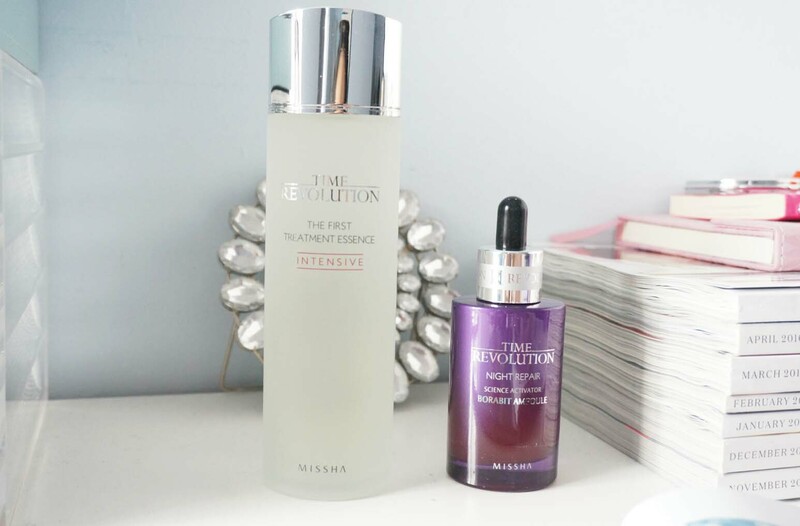 I'm currently using the B. Refreshed Essence Lotion and I'm going to wait until I finish the bottle before I start on the Missha Time Revolution Essence Lotion. 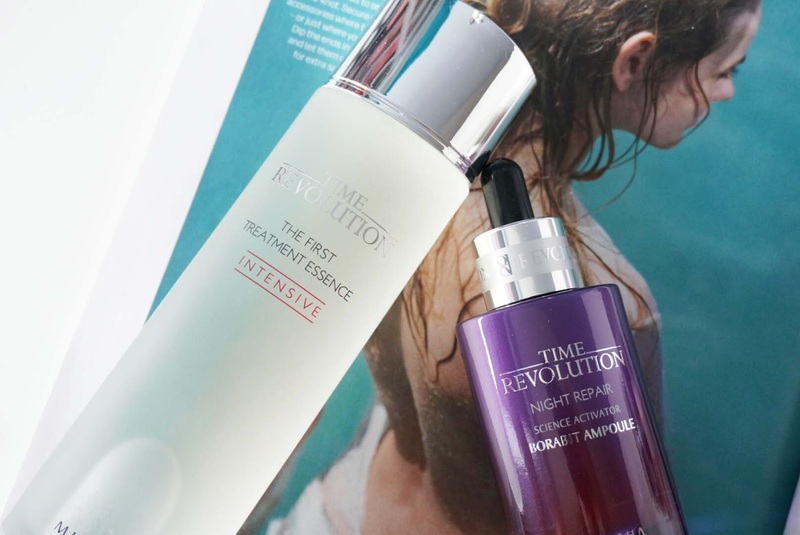 I also picked up the Time Revolution Night Repair Science Activator Ampoule which contains extra nutrients and moisture to help restore elasticity. I'm really excited to try this out and include this within my skincare routine. Lastly I am an eyemask fanatic however I didn't see many in Korea. 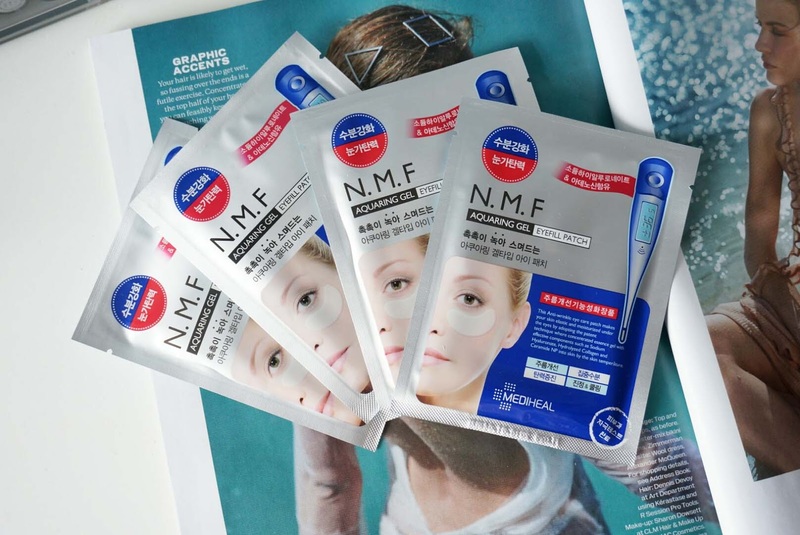 I picked these Mediheal N.M.F Aquaring Gel Eyefill Eye Patch from a 'all mask' store which helps improve wrinkles and fine lines - since I have a stubborn one underneath my right eye. That's all for my Korean beauty haul. I wish I picked up more Lipsticks from Etude House and a few more skincare items but that will have to be left for next time or when I do an asian online order. I hope you've enjoyed this post and leave me your request below if their is an item you want to see.